Luann Algoso is a Portland, Oregon-based writer, creative activator, cultural worker, and strategic communications specialist. Her work in organizing both in Asian American and women-identified spaces melds at the intersection where the arts meets activism. As a cultural worker, Luann is in service to using her art in movement building for justice and liberation. She utilizes creative strategies and tactics to center the voices of communities that are directly impacted by injustice and oppression and supports the leadership development of those impacted to create those messages. Luann is originally from Anaheim, California and moved to Portland in 2010. In 2015, she received her Master of Arts degree in Conflict Resolution at Portland State University with the thesis titled, “Comedy as a Platform for Marginalized Voices: Asian American Women and the Disoriented Comedy Showcase”. She is a 2017 recipient of the Golden Spot Award Residency, a curated artist in residency program with Caldera Arts. Follow her on Twitter and Instagram at @luann_algoso and learn more about her work at luannalgoso.com. Claudia Iao is absolutely thrilled to be a part of Nonprofit! Originally from Hong Kong, she is a Chinese-American improviser, actor, and writer in the Chicago area. Currently, she performs with Fire & Beer (The Annoyance Theater House Team), Stir-Friday Night (an Asian-American Comedy Troupe, alumni includes Danny Pudi and Steven Yeun), and as well as other independent teams (Mrs. Housefire and Little Oprahs). She’s trained at iO Chicago, the Annoyance Theater and completed the Second City Conservatory program. Follow her at @claudiayiao or claudiaiao.com. Billy Boudavong began acting when he was 16 after moving to Portland,Oregon from Eugene, Oregon. Billy took acting classes in hopes to find new friends and a new hobby, eventually falling in love with the art at David Douglas High School. Since then, Billy has appeared in many commercials and TV work working with Adidas, Nike, Microsoft and other big name companies. He has also appeared in TNT’s The Librarian, portraying as the character Tim in season one. He has worked with many talented acting coaches in here in Portland. During his free time, Billy loves to eat, workout, work on house projects, and long walks on the beach. Billy is currently working as a professional house painter, as a Stand-in for an HBO show filming in Portland, selling products on Amazon, and portraying as Kam Meesang in the online webseries “Nonprofit”. In the future, Billy hopes to break Asian stereotypes in mainstream media. Samson is originally from Fort Smith, Arkansas where he received a Bachelors Degree in theatre with a focus on acting and directing. He also studied at the Portland Actors Conservatory where he is now Artistic Associate and instructor. Acting credits include work for Portland Actors Ensemble, Salt and Sage Productions, defunkt theatre, Action/Adventure Theatre, Broadway Rose, Lakewood Center for the Arts, Shaking the Tree, Post5 Theatre, and Milagro, among others. Samson is a company member of both Theatre Vertigo and Theatre Diaspora (Oregon’s only Asian American Pacific Islander theatre company). Samson recently received the Mary Fulton Fellowship from the Portland Civic Theatre Guild and is part of the Theatre Communications Group’s Rising Leaders of Color 2017 cohort. Visit www.samsonsyharath.com for more information about his work. 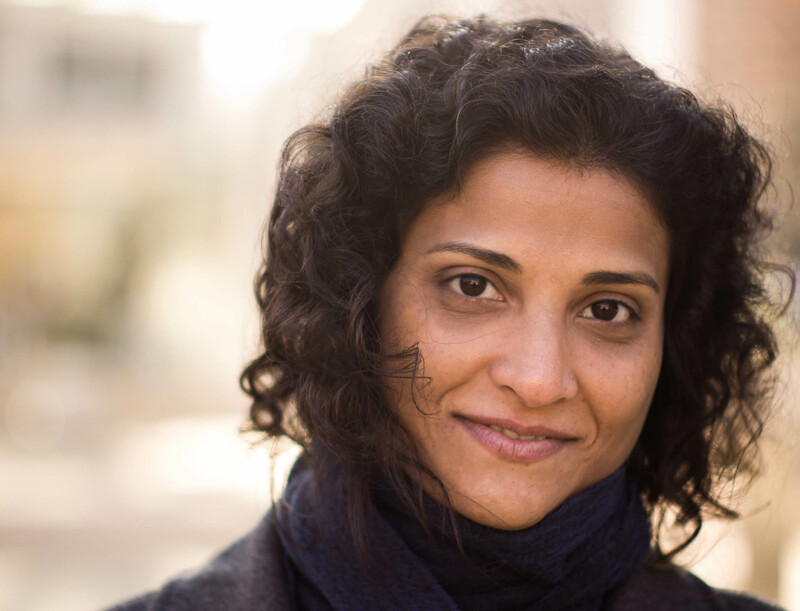 Shilpa Sunthankar is an Indian-American writer, director, and producer with an affinity for stories about different cultures in coexistence. Her experience spans independent film, animation, and commercials. She was awarded Best Director at the LA FirstGlance Film Festival for her short, THE COMPANY OF THIEVES, which was licensed by the ShortsHD Channel and IndieFlix. Her award-winning short, BIOGRAPHY OF AN AMERICAN HOSTESS, was licensed by the Canadian Broadcast Corporation. Shilpa graduated with honors from New York University’s Tisch School of the Arts. She lives in Portland, OR, and is completing the screenplay for first feature, a thriller taking place on the U.S.– Mexico border. Jonathan Miles has been acting in the Portland Film and Theatre community since 2014. He as been honored to appear in several short films and local commercials as he continues to work with filmmakers at all levels of their career from new up-and-coming directors to established production companies. Jonathan has appeared on stage as an improviser, deviser, and clown with companies that include Imago, Action Adventure, and Post5 Theatre. His favorite project to work on is one with a combination of beautiful writing and directing, as well as a political-personal message he can get behind such as his first feature length film More Than Only; an independent, boy-meets-boy romantic-comedy. It is a thrill for him to be working on Non-Profit with such a fantastically talented production team and such beautiful-hilarious writing. Jonathan is currently represented by Option Talent.